Petite Sleepwear - when it comes to nightgowns, pajamas, sleep shirts, shopping for nightwear that looks and feels great can be a struggle for petites. The good news is there’s no need to sacrifice on sleep wear style or fit. In fact, some of the most popular women’s sleepwear and beautiful lingerie brands in the world have embraced petite sizing and offer some pretty fantastic styles. From P J Harlow P-Jamas and Kate Spade, follow along as we take a closer look their sleep wear picks for petites. If you love classic, timeless loungewear and crave beautiful sleep wear that’s well made, then P J Harlow is as close to perfect as it gets. With a reputation that's second to none for luxury sleepwear that's tailored for the petite silhouette, it’s no surprise that this nightwear designer enjoys such a devoted clientele. Manufactured in the United States, this popular American intimate apparel brand includes comfortable and cozy options - night gowns, robes, pajamas, and sleep wear separates in soft, quality fabrics like satin and stretch cotton and spandex knits that are well designed and definitely crave worthy. 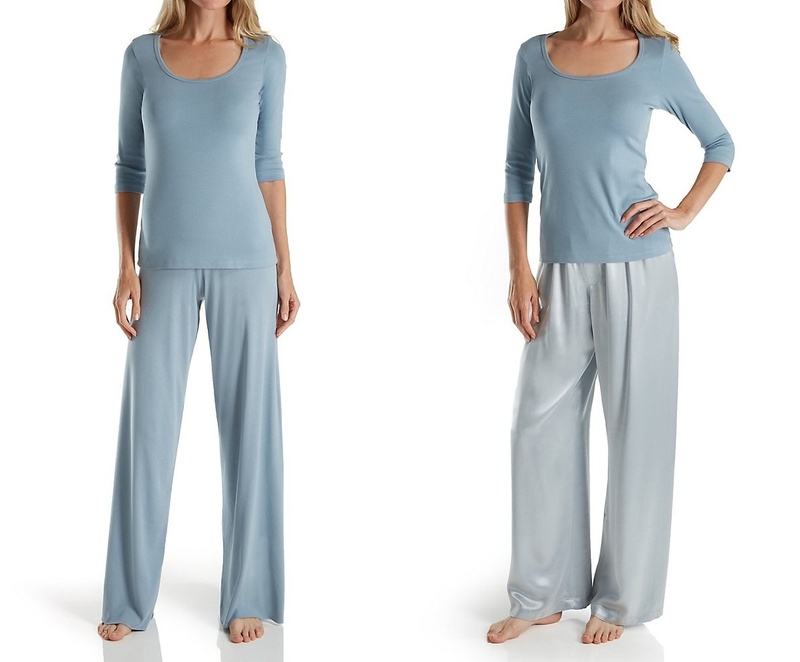 PJ Harlow sleepwear features muted soft and soothing colors that invite an easy and relaxed lifestyle, and an irresistible spa like feel. The term “petite” can be used to describe a variety of body sizes and types. While the word always implies a lack of height, it does not necessarily also imply a thin frame, although it may. Petite customers may wear a size 2 or a 22, and each has different needs when purchasing petite lingerie and ladies nightwear. The first step is to assess your body type: are you short and thin, short and curvy, short and athletic, or short but Rubenesque? Remember that an accurate assessment of your body type is vital to purchasing the most flattering styles of women sleepwear for your particular silhouette. It can be helpful to ask a trusted friend for input if you are unsure. With a reputation for durable and dependable classic womens sleepwear, you may think of P-Jamas as a destination for casual night wear basics in regular sizes, but you’ll be pleasantly surprised with their selection of women’s sleepwear made especially for petites. Recognized for their comfortable yet simple styles in luxurious Egyptian cotton, P-Jamas manufactures some of the finest quality cotton sleepwear available today. 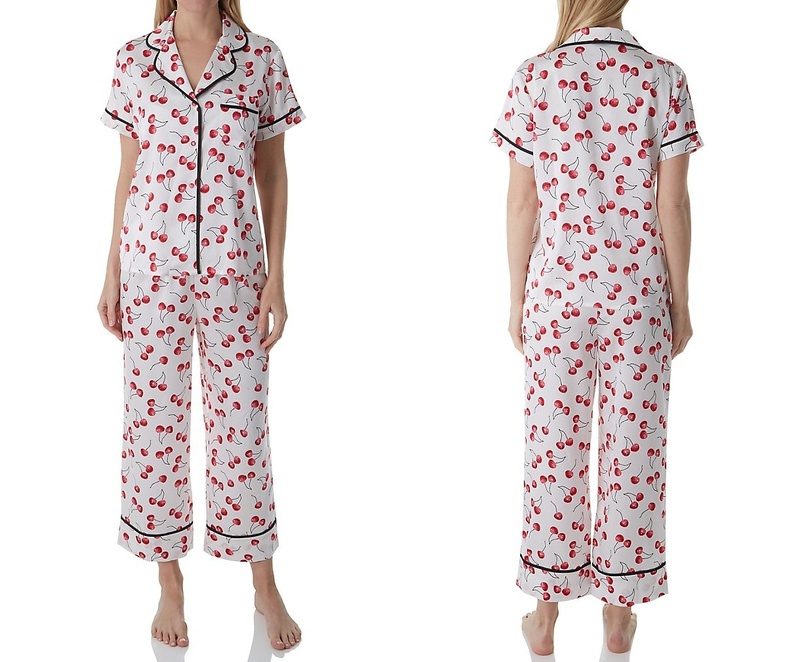 Delivering a timeless and relaxed look, fit, and feel, P-Jamas' dedicated attention to detail keeps their ladies pajamas, cotton nightgowns and nightwear in high demand throughout the year. Neutral white, cream, pink, and blue tones keep their styles popular and easy to mix and match with sleepwear favorites that you already have, making them the perfect pick for everyday wear. Super soft, warm, and cozy, you'll enjoy the quality and heritage of the P-Jamas brand, as you crawl under the covers for a great night’s sleep. Petite sleepwear gets a special dose of designer glamour with pretty pajamas, night gowns and more from Kate Spade. This New York fashion label is known for their sweet, whimsical designs that women just can’t get enough of. Much like their popular clothing and accessory lines, petite sleepwear by Kate Spade has the same fun and flirty feel, from their pretty nighties to their camisole and pajama pants combos. Kate Spade’s designs always feature bright jewel tones, cute sayings, graphic prints, and pretty, metallic details. Perfect for women who have a feminine style but are a little sporty and fun with their style, Kate Spade sleepwear is made for women who don’t take themselves too seriously and enjoy feeling great in whatever they wear.